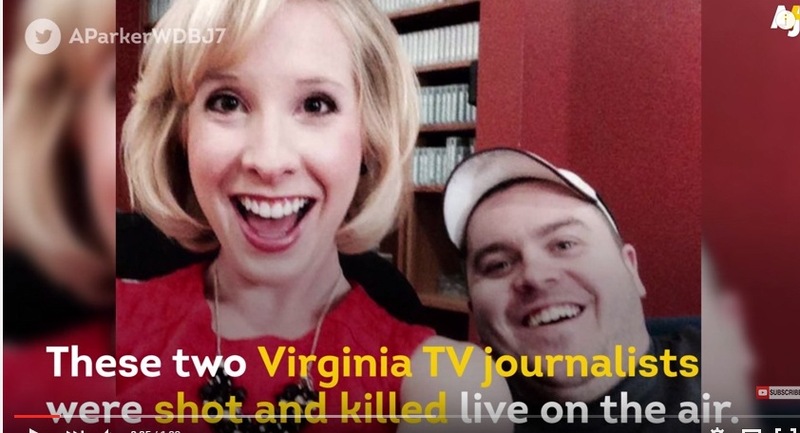 Two local TV reporters from the WDBJ7 Channel were killed on wednesday during a live broadcast in Virginia. The victims are Alison Parker and Adam Ward. They were killed by a former partner of the local TV, Bryce Williams, also know as Vester L. Flanagan II. The suspect accused of killing two WDBJ7 employees died at a hospital in Northern Virginia, according to Franklin County Sheriff Bill Overton. According to ABC, a 23-page fax to the network arrived almost two hours after the shooting. It came from someone who identified himself as Bryce Williams, the on-air name gunman Vester L. Flanagan II used when he worked as a reporter. In the message, according to ABC, the gunman said the Charleston, South Carolina, church shooting in June is what put him over the edge, but he wrote that his “anger has been building steadily” because of racial discrimination and sexual harassment he claims to have endured.